Tests in the book keep track of your progress. 05: What is the time? 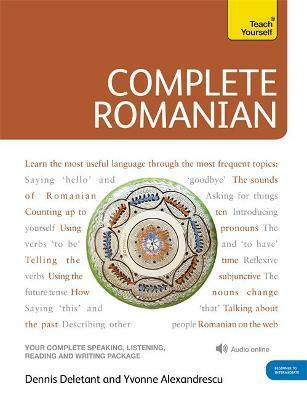 Learn everyday, useful Romanian through real-life situations that make grammar and vocabulary easy and memorable. This edition makes learning effective and engaging with an easy-to-read page design and complete audio support. Dennis Deletant is Professor of Romanian Studies, School of Slavonic and East European Studies, University College, London. He was awarded the OBE for services to British-Romanian relations in 1996 and was a member of the advisory board of the British Government's Know-Fund with special reference to Romania 1990-1999. He is currently Consultant to the EU on Romanian language materials in English.